You may be an occasional gamer, breaking out the Nintendo Switch or Xbox controller when you need to give your brain a break from academia. Maybe you’re a phone gamer, tapping away like the Fruit Ninja you are whenever your excitement levels dip. If you are like 44% of the world’s population, you are a gamer who takes their game time seriously, making time to play games like Fallout, Rust, and Angry Birds a few times a week. For those uninitiated with simulation and role-playing games, it may seem like online games are just another iteration of platform games like Super Mario Bros. and Zelda. Quite the contrary, modern online gaming goes well beyond the Konami code. Developers are delivering incredibly detailed and intricate worlds which challenge gamers to use a whole lot of brain power to solve complex problems inside of fully-designed worlds, often complete with players from all around the world interacting virtually with one another. As game developers build increasingly multifaceted and interactive worlds, gamers are tasked to tackle ostensibly solvable problems that require them to make measured, tested, and learning-based decisions either alone or with a team effort. Games like Fallout have made a big impact in gaming communities because they are not only games that are set in realistic, interactive, and grand worlds, but they are games who have a very simple objective: to survive. Because of the engrossing style of game play and the nature of the games themselves – allowing gamers to choose one of many paths in a ‘choose your own adventure’ type of play – gamers are spending more time than ever before playing their created roles in these worlds. An average gamer spends 6.5 hours a week playing video games of one sort or another, from app games like Crashlands to the world conquering World of Warcraft. Millions of survival game players, whether working in tandem with a team or gaming solo, dedicate more than 20 hours a week to play per person. 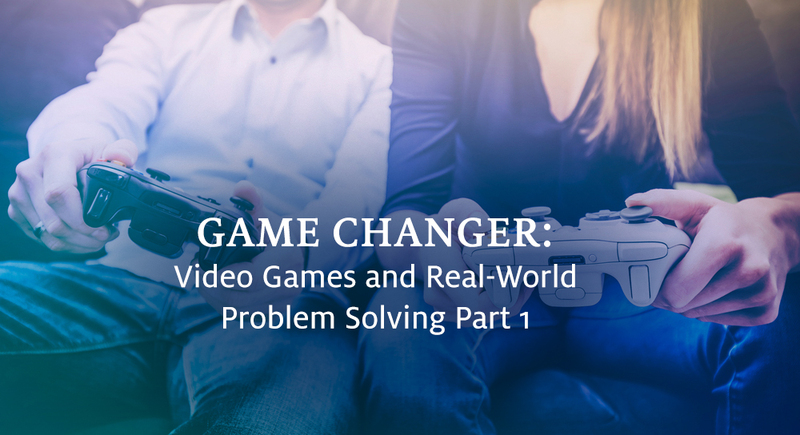 As game developer and gaming researcher Jane McGonigal noted in her World Innovation Forum and TEDTalk about gamers’ untapped abilities, gamers are out-of-the-box problem solvers. Why? Because, as she puts it, players spend about 80 percent of their time failing while playing video games. Curiously, whereas constant failure would make one quit their task in other aspects of life, gamers are pleased with their failures. The more they fail, the harder they try to correct their failures and succeed at the task at hand. Game developers like McGonigal see the potential for greatness in gamers. With all those improved skills and a desire to use creative thinking to solve (virtually) serious problems, gamers may be the greatest asset humanity never saw coming. Imagine all that collective manpower, out-of-the-box thinking, and desire to succeed at overcoming extreme virtual obstacles working together to solve genuine issues that plague our real world today. Could gamers be the key to unlocking solutions to 21st-century global issues? Let’s talk about it in Part Two of this blog!